Zimbabwe is a country dispersed in some of the world’s most beautiful locations to visit. It is home to one of the Seven Natural Wonders of the World as well as a wide variety of UNESCO World Heritage Sites. UNESCO has recognised 1073 locations for their outstanding universal value and as a result, have been afforded the title of a World Heritage Site. 119 of these are spread across Africa and five of which, are located in our beautiful Zimbabwe. Take a look at these five must-see sites that Zimbabwe so proudly offers! 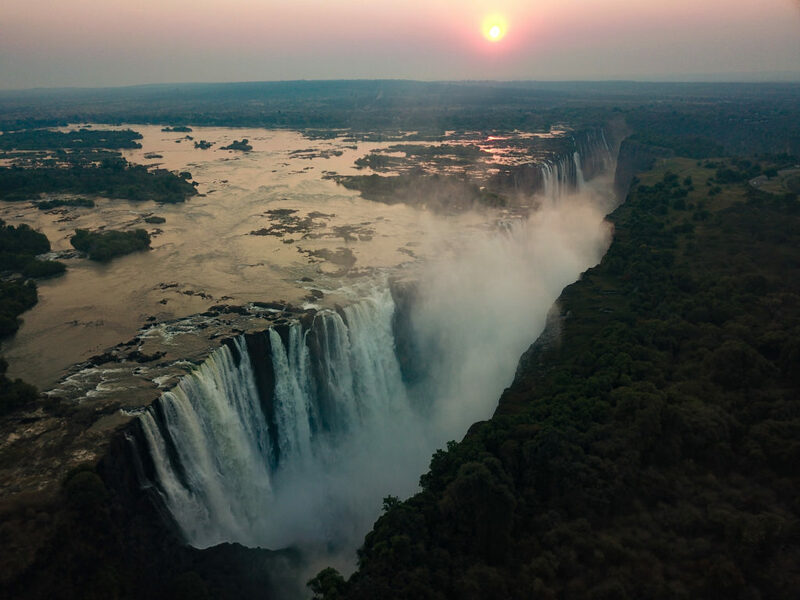 In addition to being so breathtakingly beautiful, Victoria Falls is classified as one of the largest waterfalls in the world, based on its combined width of 1,708 and height of 108 metres, which results in the world’s largest sheet of falling water. The spray caused as a consequence of this rises to an extraordinary 1650 feet in the air and can be seen from up to 20 kilometres away! You can sit and watch the spray rise high into the sky while dining at The Palm Restaurant, located just 936 steps away from Victoria Falls, at Ilala Lodge Hotel. The moisture from the spray creates the perfect atmosphere for surrounding flora and fauna to blossom into a luscious rainforest bursting with life. It also makes for a picture-perfect spot to watch the most magnificent sunrise, an experience we encourage everyone to see! Renowned for its exceptional game viewing, Mana Pools National Park is a wildlife conservation area situated in the far north of Zimbabwe, in the Zambezi Valley. This remote and spectacular park offers exceptional views over the Zambezi River and the mountains of the Rift Valley, in Zambia. The conservation is popular among keen fishermen and is home to large herds of buffalo and elephant which can be spotted along the river banks or grazing among the vast plains. An abundance of kudu, zebra, impala, to name a few and over 300 species of birdlife await! 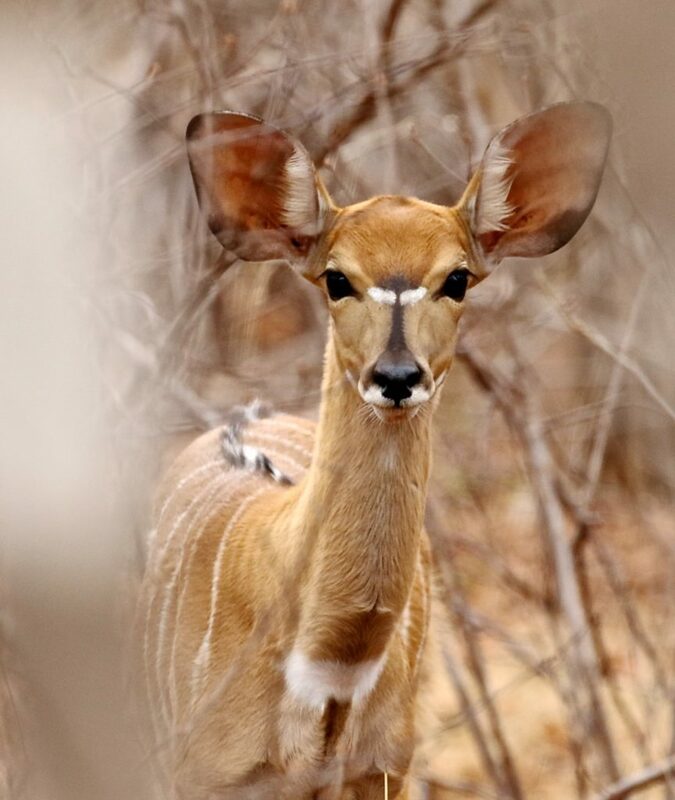 Visitors can witness hungry predators such as crocodiles, lion, leopard, hyena and wild dog as they await their prey in the camouflage of the surrounding bushveld. It certainly is a safari seeker’s dream destination. 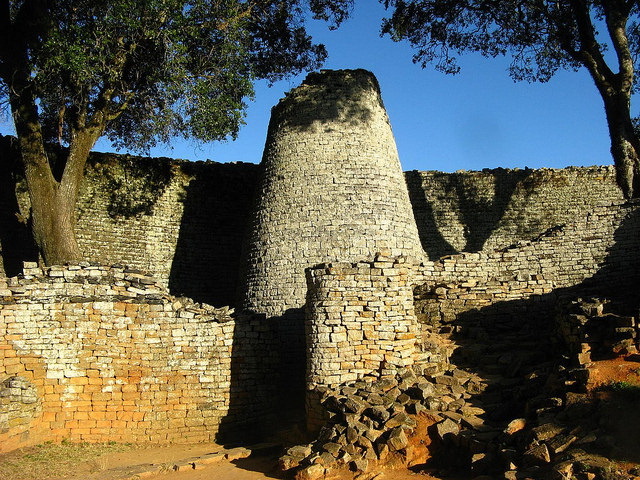 The Great Zimbabwe Ruins is a medieval city in the south-eastern hills of Zimbabwe and is recognised as Africa’s largest stone structure, aside from the pyramids. Its stone walls measure up to six metres thick and a staggering 12 metres high, and are built of granite blocks, impressively without the use of a single speck of mortar to hold them together! The marvellous builders of this impressive site were Shona-speaking people of the Gokomere Culture between AD 1250 and AD 1450. Artefacts including pottery, iron, ivory, bronze and porcelain from China and Persia were recovered, suggesting a rich history of international trade. Furthermore, a unique collection of soapstone birds have been discovered at the site and are now recognised as the national emblem of the country. 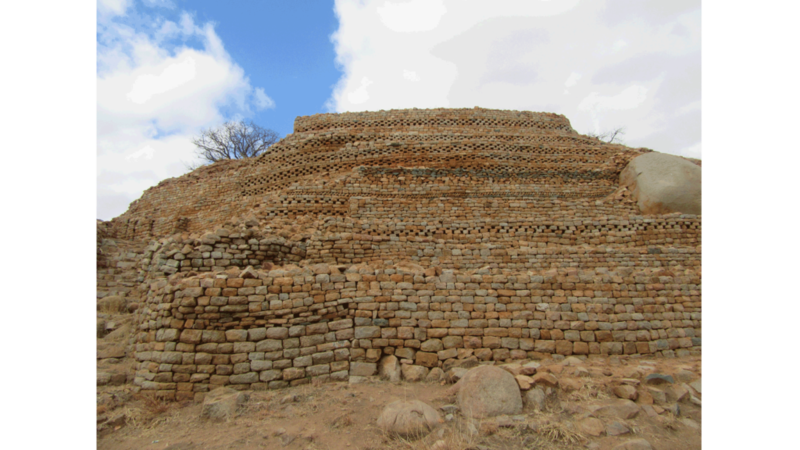 Khami is a national monument located in the south of Zimbabwe. Developed between 1450 and 1650 the abandoned settlement offers great archaeological interest due to its unique properties, much like The Great Zimbabwe Ruins, of being built without mortar. Included in the fascinating discovery of Zimbabwe’s very own Medieval city, were hundreds of imported goods like Ming porcelain and Spanish silverware, suggesting a long period of trade within the area. 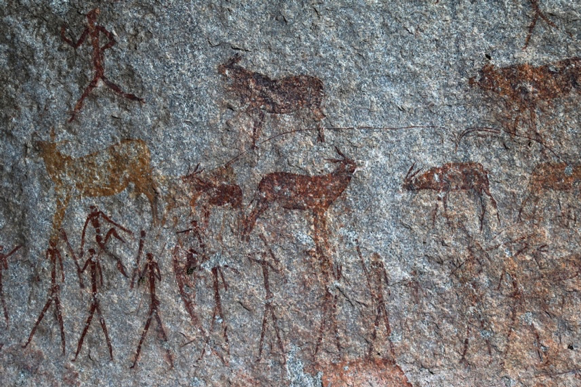 Home to the largest collection of rock paintings in Southern Africa, the large boulders of the Matobo Hills offers an abundance of natural shelters associated with human occupation from the early Stone Age. Detailed across the hills and caves are over 20,000 paintings and petroglyphs that date back to over 13,000 years ago! Visitors to these areas can stay at privately owned safari lodges, such as Amalinda Lodge tucked away in the ancient Bushman’s shelter amongst the granite domes and castle kopjes. Here wildlife, birdlife and a healthy population of endangered rhino roam in abundance – offering a truly tranquil and extraordinary destination to visit! A must-see location when visiting this remarkable area is the famous burial site of the British imperialist, Cecil John Rhodes. His world-famous tomb, known as ‘View of the World’ is poised atop one of the large granite hills. We strongly recommend visiting these extraordinary locations to experience these irreplaceable sources of rich heritage dispersed around the magnificent land of Zimbabwe. Go on, be adventurous – we promise you will not regret it!